Pontian Wanton Mee – Comes in 3 different sizes; the smallest size being the “S” priced at RM4.00/USD1.30 seemed to be enough for a light dinner. Bouncy, egg noodles without the curls. WHAT?! 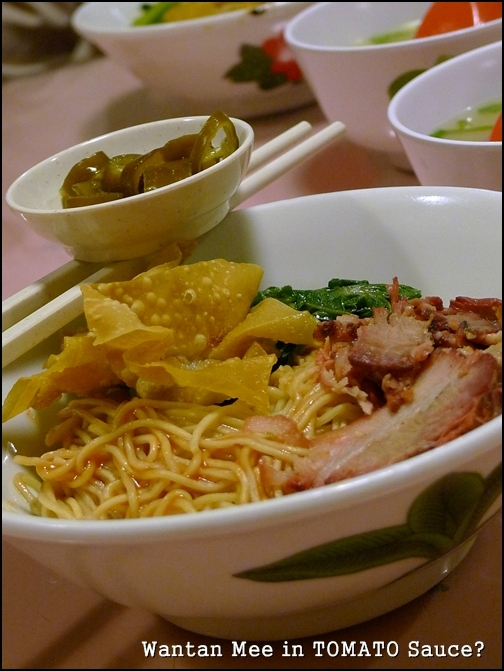 Wanton Mee again ah? Wait wait, Before you go and throw tantrums over Motormouth’s tiresome ordeal of seeking for dinner every single night, bear in mind that in KL (generally), a few types of street food tend to stand out amongst the crowd. Of course, let’s not take into consideration the various Ipoh Chee Cheong Fun, Kai See Hor Fun (Chicken Kuey Teow Soup) or Penang Char Kuey Teow. Those imitators/emulators never failed to amaze me. Not so much for the authenticity but more for their tenacity. In other words; thick-skinned. But let’s not digress. 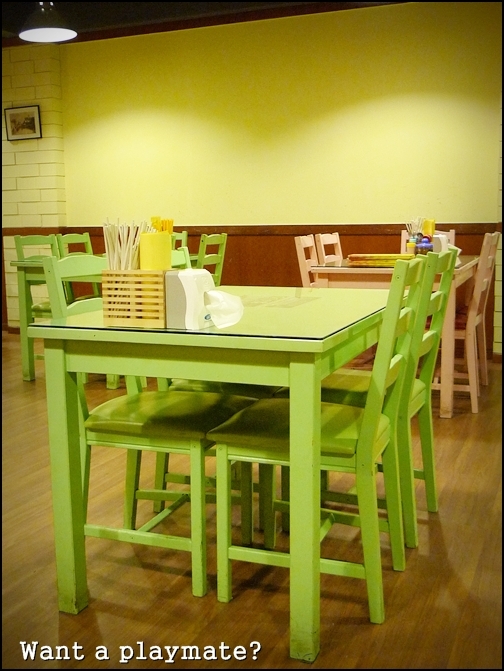 The ambience should be sufficient to calm a child with ADHD down in an instance. Or maybe not. 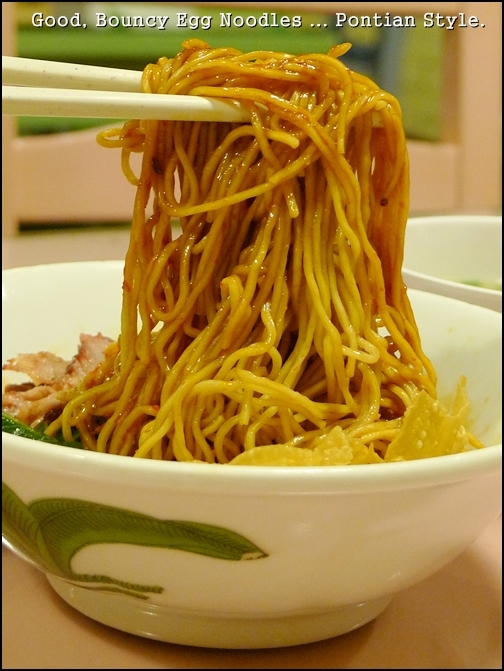 And can you imagine this was already my third or fourth wantan mee experience in KL? In a matter of 3 weeks, I have already ventured a few places, and ended up with more or less the same stuff. Mostly noodles, there was one day when I had pan mee TWICE in a day! Silly me for waltzing in a cool manner without realizing that the shop sells only pan mee. Better let the instincts lead the way, rather than the hunger pangs. Anyway for today folks, let’s see what this specific Pontian Wanton Noodles (with 60 years of history, no less!) in SS15 of Subang Jaya managed to dish up …. 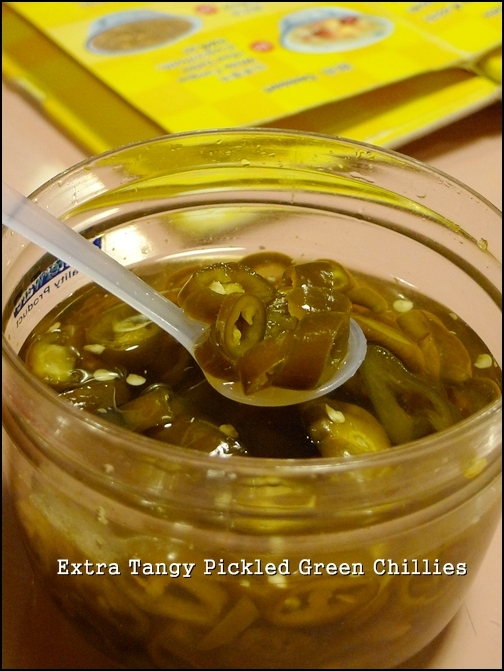 Their pickled green chillies are good. Very tangy, sometimes resulting in cringing moments when biting into them. And since, Pontian Wanton Noodles House have expanded to 6 outlets in Singapore alone, and another five in Malaysia; two of them in Johor while another three in the Klang Valley. Not bad, given the fact that I have not heard about Pontian wanton mee (yeah, my coverage’s not extensive until that level …. unless I’m a full time food reviewer, then that’s different) until Axian featured one stall in his new show; Axian Food Adventures on AEC. Yup, a bowl of wanton mee with char siew (barbecued pork slices), two fried wanton and two wanton in soup cost only RM4.00, in an air-conditioned outlet no less. The point that managed to captivate my interest was that the wanton mee on in Pontian is usually served in a mix of chili and tomato sauce. The one with tomato sauce, strange as this may sound but the combination actually complemented each other well. Naturally, curiosity kills the cat. And this time around, thankfully the wacky mash-up did not. In fact, the tangy tomato sauce coating the strands of egg noodles lent a sour tinge to the noodles; punctuated with a slight sweetness; almost tarty. Awkward during the first slurp, but the moist ensemble tasted moreish; partially due to the savouriness imparted by the combination of sauces. The other bowl with chili and black (dark soy sauce) tasted a little mundane in comparison, though that’s their signature combination. But take note that the heat was kicked up a few notches, so if you’re one who sweats buckets or with IBS, better refrain from putting your alimentary tract to the test. Dumplings in soup; with minced pork filling but gone in a bite. To fuel the bodies with enough protein, we loaded up with some fried dumplings too. Served with the customary chili sauce and a dollop of mayonnaise. The cuts of Char Siew were too lean, and none of those glistening, caramelized and charred edges that I have grown to love when it comes to KL’s best options (Meng Kee is slightly over-rated, while Famous Seremban Favourites remains one of the better ones). Forgettable. 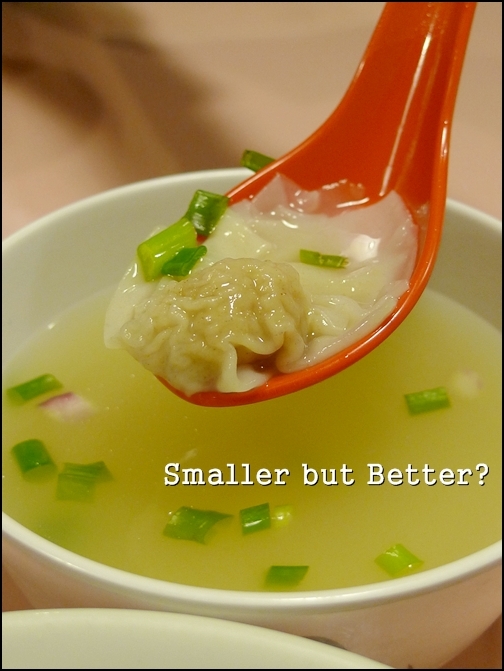 The tiny morsels of wanton in soup, and some deep-fried to a crispy finish were passable. Not bad, but definitely not some of the best. Since the nibbles of meat was barely sufficient to justify thorough sampling, we ordered an extra plate of fried wanton (RM4.00/USD1.30 for 10 pieces) to share. See the fine prints? Handmade noodle very tasty, no preservatives, takeaway noodle won’t soft …. Think they’re opened from morning until night, about 11pm+. Yeah … even at night. Or should I say, especially at night? Look at Asia Cafe and that’s a real good example. But then again, I grew a certain fondness for this place. More like a neighbourhood food centre than a full-fledged business commercial area. The smallest was okay, not that bad. RM4 only anyway. You can upgrade to M or L size, at increments of about RM1 from the previous size. No, this may not be your idea of bouncy, QQ noodles like say, Nippy Noodles in Kuchai Lama, or the traditional one from Koon Kee, but then again, the combination of sauces actually made this interesting. Haha… witch ah.. it’s not that easy to find rice lah. More noodle shops, while rice usually at dai chow restaurants. 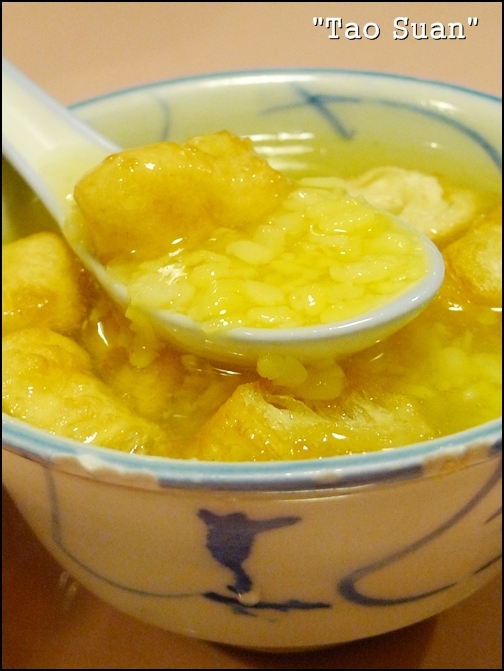 How to eat dai chow alone, or in a small group? Wah! Singapore-style wantan mee comes to town 🙂 I will certainly give it a go when I am next home! Hi Juliansi … cheers from KL. Coming back for CNY? I agree with waht mimid3vils said. Pontian Wantan opened another outlet in SS2 PJ a few days ago and me and gang went there just now for lunch. Big, big disappointment. It’s simply cheating. Can U imagine a wan tan (??) without fillings (????) inside? This is a typical kitchen production from a mean chinky mama (????????????????). The taste of the noodle itself is already a turn-off, not to mention the miserable toppings. (?????????????????????????? Even ultraman papa and ultraman ibu also say no to the SS2 Pontian Wan Tan. Big signboard but almost no toppings on the noodles. ?????????????????????????? 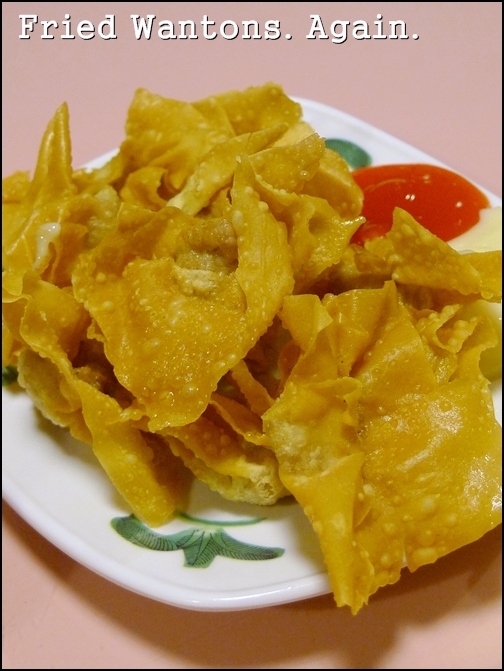 This ‘lan shee’ wantan brand could hardly sustain for the next 6 months if they keep cheating like this. ???? ‘? ?’ (lan shee) ??????????? ?This is mal-nutrition (?????man…. Dua pieces lauk (toppings) saja and caj U RM5.50. Look at this itty-bitty (kuci-miao) serving and they expect a big crowd. They even claim they could sell 1000 bowls a day in Pontian, Johor. Becoz of new opening in SS2 we kena con (???teruk-teruk. Hey bro and sis out there, make sure U all dun go there – Pontian Wan Tan Mee restaurant in SS2, a few shops next to Pelita/ opposite McD. I have picture proof by the way. 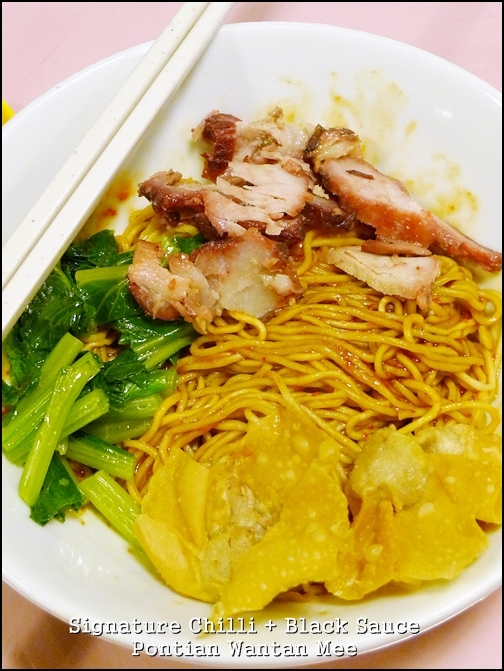 This Pontian Wan Tan mee not even close to the real Pontian Wan Tan mee served in Pontian. If you think what they serves here tickle your tonsils, wait till you try the real stuff. Great to hear that …. now that makes me eager to go down to Pontian for a try of the real deal. 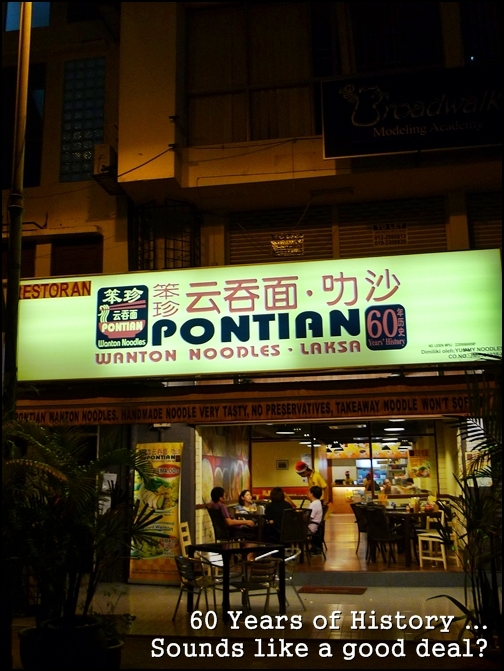 hi, do you have the history of Pontian Wanton Noodle ?